The Intel 4004 is a 4-bit (CPU) released by Intel Corporation in 1971. 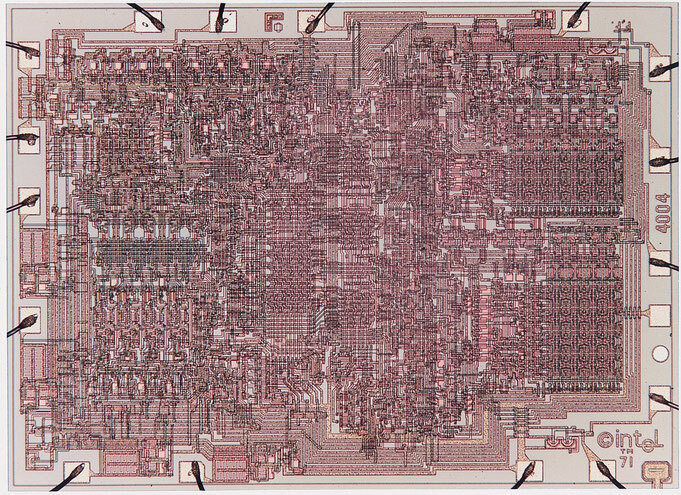 The design was completed in January 1971 by Intel and made commercially available in March 1971 to Busicom Corp. for which it was originally designed and built as a custom chip. 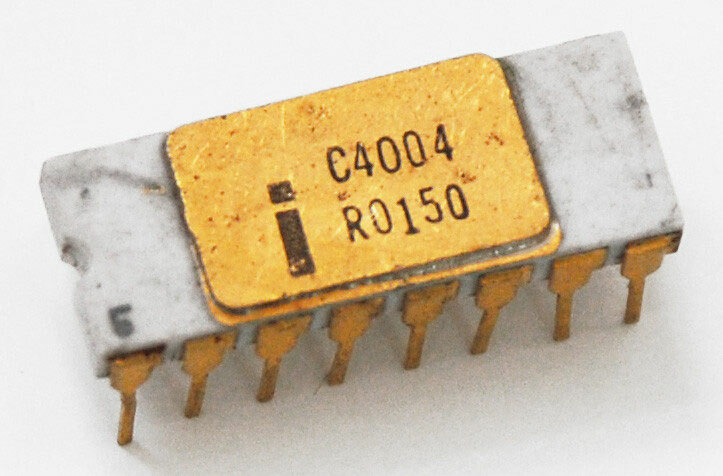 In mid-November of the same year, with the prophetic ad "Announcing a new era in integrated electronics", the 4004 was made commercially available to the general market. The 4004 was history’s second monolithic CPU fully integrated in one chip (preceded only by the TMS 1000). 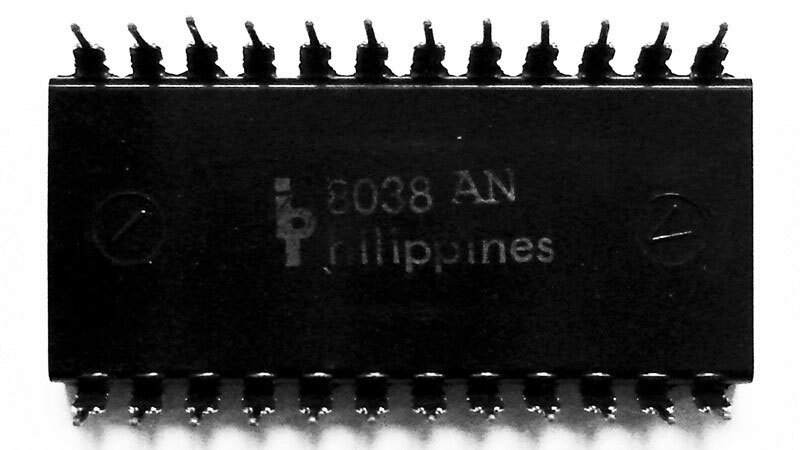 Such a feat of integration was made possible by the use of then-new silicon gate technology allowing a higher number of transistors and a faster speed than was possible before. The 4004 microprocessor was one of 4 chips constituting the MCS-4 chip-set, which included the 4001 ROM, 4002 RAM, and 4003 Shift Register. With these components, microcomputers with varying amounts of memory and I/O facilities could be built. 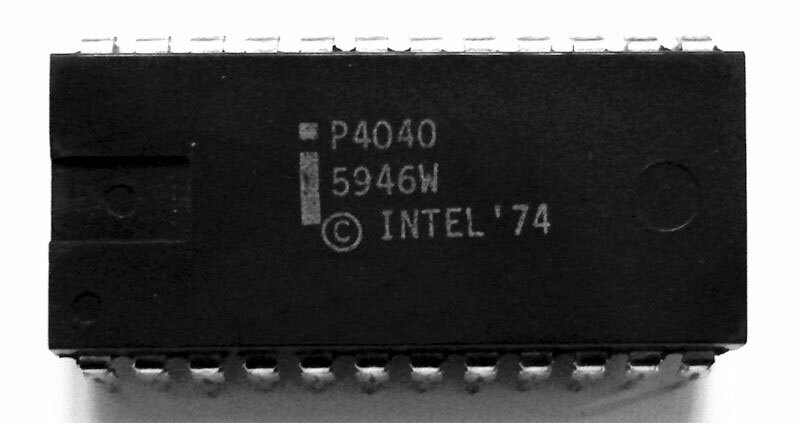 The Intel 4040 microprocessor was the successor to the Intel 4004. It was introduced in 1974. 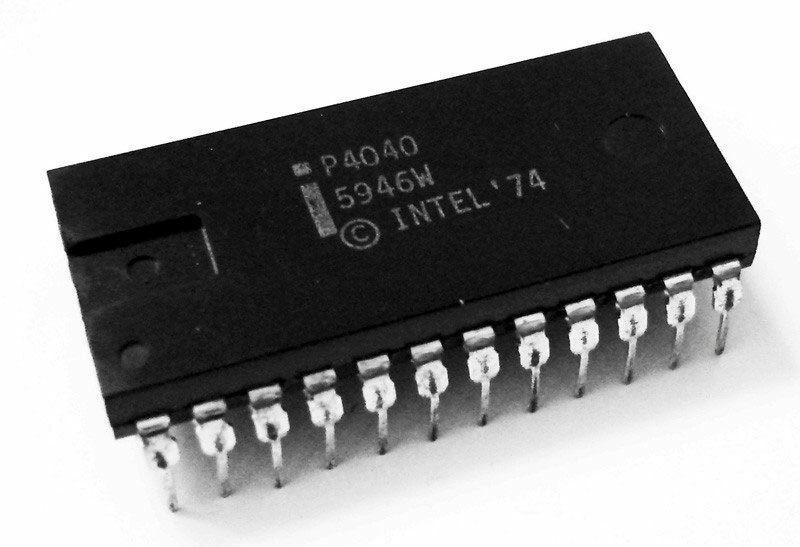 The 4040 employed a 10 μm silicon gate enhancement load PMOS technology, was made up of 3,000 transistors and could execute approximately 60,000 instructions per second.